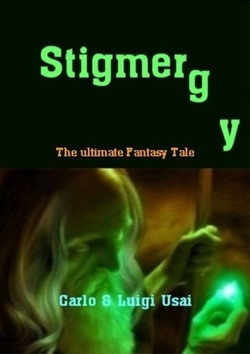 Book – Carlo and Luigi Usai, “Stigmergy – The ultimate fantasy tale“, UniBook, Italy, 2011. (in Italian from UniBook) […] Un libro destinato a lasciare un segno nelle Saghe Fantasy: il piccolo Curado si trova, suo malgrado, immerso in una serie di avventurose vicende attraverso il regno della Magia di un mondo Fantasy che richiama i migliori dei racconti della serie. Questo è il primo di una serie di volumi. Dal genio degli scrittori Fantasy Carlo Usai e Luigi Usai. Stigmergy è il primo episodio di una saga che è destinata a non lasciare indifferenti gli appassionati del genere. Stigmergy è stato già tradotto in lingua inglese, francese, spagnola e portoghese. Sono in corso le traduzioni in lingua cinese mandarino, arabo, tedesco, albanese, persiano e rumeno. Short animated film – Полигон, 1979 | Polygon (Based on the story by Sever Gansovsky) | Director: Anatoly Petrov | Studio: Soyuzmultfilm. “I believe that understanding intelligence involves understanding how knowledge is acquired, represented, and stored; how intelligence behaviour is generated and learned; how motives, and emotions, and priorities are developed and used; how sensory signals are transformed into symbols; how symbols are manipulated to perform logic, to reason about the past, and plan for the future; and how the mechanisms of intelligence produce the phenomena of illusion, belief, hope, fear, and dreams – and yes even kindness and love. To understand these functions at a fundamental level, I believe, would be a scientific achievement on the scale of nuclear physics, relativity, and molecular genetics.” – James Albus, in response to Henry Hexmoor, Feb. 13, 1995. […] The old view, the traditional view of emotion is that is passion (emotion) and reason (thinking) are on opposite ends of the spectrum. They are antithetical. When one is feeling emotional, one’s thinking is in chaos. One’s thinking is haphazard. One’s thinking is immature. This is an idea of Daycart and many others. You can see this idea in all kinds of philosophical statements like this one. “Rule your feelings, or your feelings will rule you.” If you took a class in psychology in North America in 1940’s or 1950’s, the way in which emotion would have been defined in your psychology textbook would be this way. “Emotions are a disorganized response“, note the word disorganized. Or, “Emotions are acute disturbances…” or, my favorite, “Emotions cause a complete loss of cerebral control and contain no trace of conscious purpose“. If this really were emotion, what emotions are all about, one would try to stamp out emotions. One would try never to have an emotional experience. Why have a complete loss of cerebral control? The new view of emotions says no, emotions are adaptive. That is, that they help us. They are functional. They organize our thinking. They help us know what to pay attention to, and they motivate behaviour. This idea was suggested in the 1940’s but rejected at the time by Robert Leeper when he argued that we have emotions to because they arouse us, pay attention to something. They sustain our attention, and they motivate or direct our behaviour. Peter A. Hancock, “Mind, Machine and Morality – Toward a Philosophy of Human-Technology Symbiosis“, Ashgate Press, USA (2009). Marvin Minsky, “The Emotion Machine: Common sense Thinking, Artificial Intelligence, and the Future of the Human Mind“, Simon & Schuster. 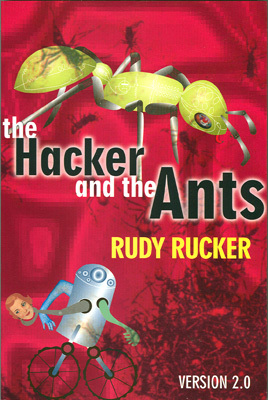 ISBN 0-7432-7663-9, (2006).